I love rhubarb something fierce. I am big on tangy, sour flavors especially when they are paired with something creamy or rich. 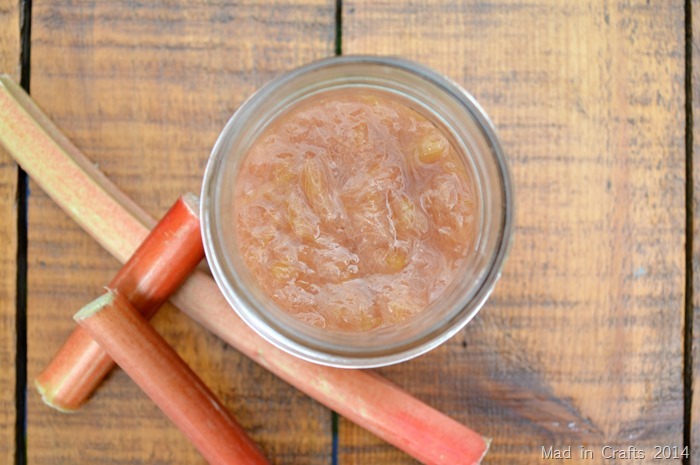 Rhubarb is perfect for recipes like cobblers, pies, and streusels for just that reason. But baked desserts take numerous ingredients and time. 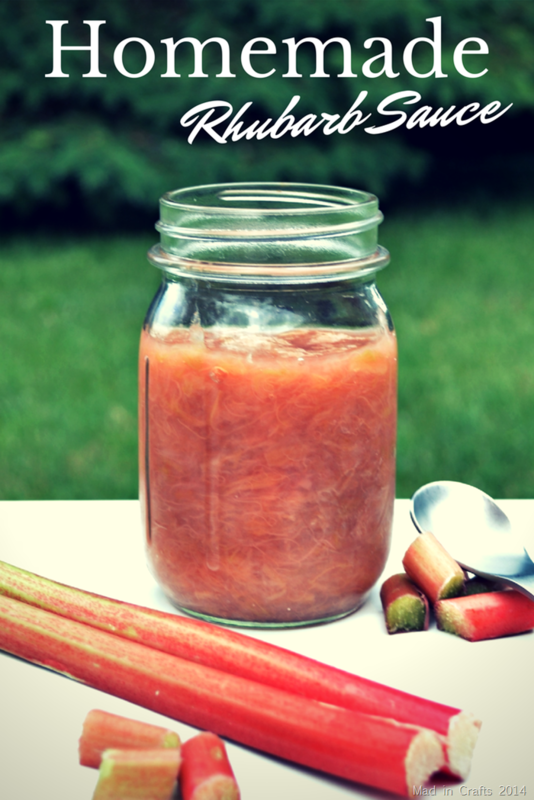 I wanted rhubarb goodness NOW! The first thing I did with my rhubarb stash was to make it into delicious tangy rhubarb sauce, just like my mom would make when I was little. So get your paws on some stalks and get saucin’! Add all ingredients to a medium saucepan over high heat. Watch pot carefully to avoid burning the sauce. When bubbles first begin to appear in the water, turn the heat down to medium-low. Cover and cook for 30 minutes, stirring occasionally. 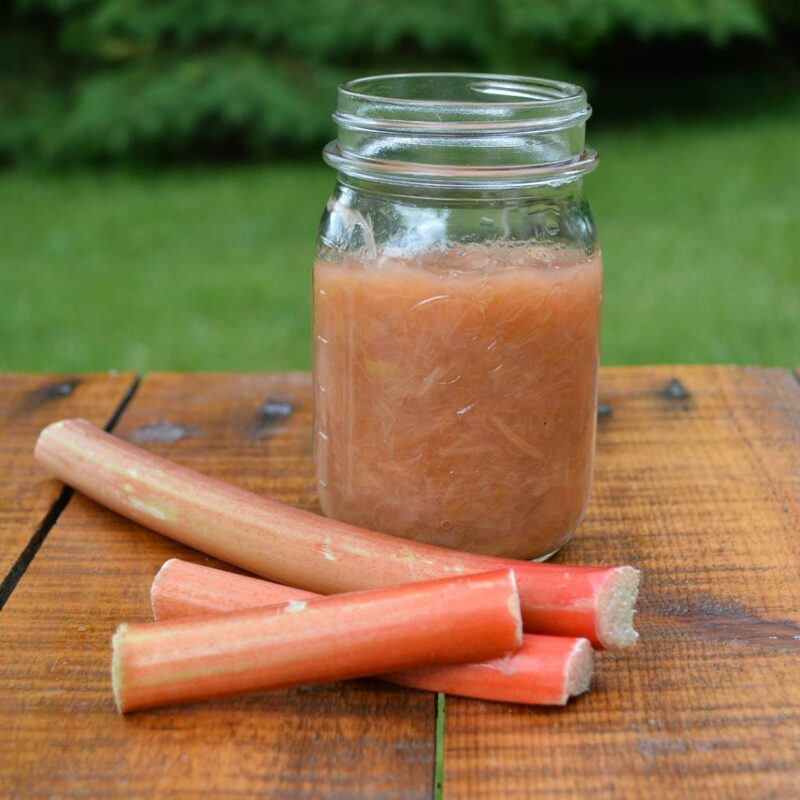 Break the big chunks of rhubarb down with a potato masher or the back of a large spoon. Add sugar to taste. Cool and refrigerate. Is this recipe ok for canning? I have never canned it before, so I would do some research first. Sorry I can’t give you more information! I never have, but I imagine you would be able to.